Electricity consumers in the South-East have urged electricity Distribution Companies (DISCOs) to strive to install pre-paid meters to all consumers to check over-billing and estimated billing that cause disagreements. The consumers made the call on Thursday in Enugu at a forum of the House of Representatives ad hoc committee to curb excessive electricity charges being levied on consumers by Distribution Companies (DISCOs). An electricity consumer from Akwa, Mrs Eunice Nwoye, said that estimated billing made it difficult for artisans to make profit because it was high and not commensurate with the energy consumed. “It is unbearable for someone operating a salon to pay as much as N5,000 when you hardly get uninterrupted supply each day. “I believe if functional pre-paid meters are installed, it is definite you only pay for what you use,” Nwoye said. Another consumer from Ogbete area in Enugu, Mr Chidi Madu, complained about inconsistencies in the estimated bills for his flat. Madu noted that only pre-paid meter compliance would ensure that Nigerians stopped paying for what they did not consume. However, some of the customers lauded the Enugu Electricity Distribution Company (EEDC) for the current expansion of its network. They commended the EEDC for improving the rate of servicing and revitalization of malfunctioning electricity installations and lines. The Manager of Aqua Ralph Nigeria Limited, 9th Mile, Mr Joseph Olorutobi, thanked the EEDC for fixing electrical faults within record time. “Apart from the recent dispatch with which EEDC attends to electrical faults and breakdowns, it also finished the network expansion of lines with the 9th Mile Corner axis within some days,” Olorutobi said. He, however, appealed to the Transmission Company of Nigeria (TCN) to provide more electricity supply to zone, especially as the population and industrial activities in Enugu had been expanding rapidly. 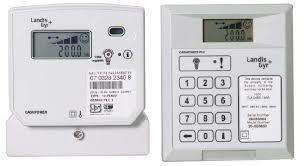 An artisan in Ogui Road in Enugu, Mr Chimezie Okechukwu, said the recent installation of pre-paid meters in their premises had reduced the money they spent on electricity. Okechukwu noted that the bill had continued to drop from N8,000 to N4,500 since they used the light only during business hours. In his address at the forum, Mr Abdulkadir Shettima, the Deputy General Manager, Nigeria Electricity Regulatory Commission (NERC), said the commission had put in place regulations to safeguard the rights and privileges of consumers. Shettima noted that NERC had opened offices in virtually all states in the country to entertain the complaints of consumers and ensure that they were resolved. Earlier, the Chairman of the committee, Mr Israel Famurewa, said the committee would aggregate consumers’ views on the challenges they faced and write a report formally to the House of Representatives. “As a people, we must deliberate and come together at the local level as well as the House level to find lasting solutions to the issues and challenges bedevilling electricity supply in the country. “At the end of the day, it entails fashioning out new laws or amending the existing ones; we will do it for the betterment of our people,” Famurewa said.